We had the NELP pre-test today. It went very well. The new format worked really well, I'm happy to say. For those interested in preparing for the actual entrance exam, I teach a special class for high-level elementary school students two Saturdays a month through Seishin English Hills, sponsored by our Seishin Alumni Association. Joining this class doesn't mean one can automatically pass my NELP entrance exam, but it will certainly help. We're having summer classes right now at Seishin, and so Brian and I have been teaching some classes. Brian has been teaching the second graders, and I've been teaching the first graders. One of my students isn't back yet from vacation. I hope she's having fun, and I hope she knows we all miss her. Right now, we're finishing up a project: our students are writing and illustrating a story. It's a prequel to one of our graded readers, and it looks to be a really interesting story about pirates. I've recently returned from a long summer vacation back in America. While there, I've taken my first step on what I hope will be a new tradition for NELP: I bought some new books for the library. 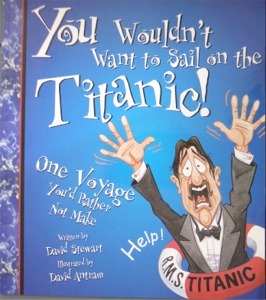 At the Titanic Museum in Branson, Missouri (http://www.titanicbranson.com/), I bought You Wouldn't Want to Sail on the Titanic: One Voyage You'd Rather Not Make by David Stewart. 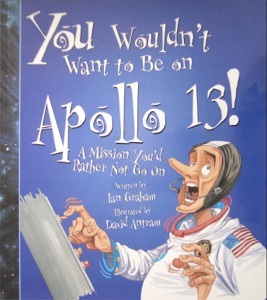 At the Johnson Space Center in Houston, Texas (http://www.nasa.gov/centers/johnson/home/index.html), I bought You Wouldn't Want to Be on Apollo 13: A Mission You'd Rather Not Go on from the same series, this time by Ian Graham. 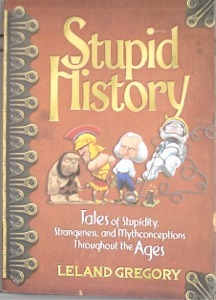 At a bookstore, I bought Stupid History: Tales of Stupidity, Strangeness, and Mythconceptions Throughout the Ages by Leland Gregory. This book is great for people interested in history, because what we learn in history class is rarely the whole story, and sometimes it's more 'story' that 'history'. To supplement my reading classes, I also 'borrowed' a collection of James Thurber stories from my father's book collection (which, I must admit is a formidable collection). 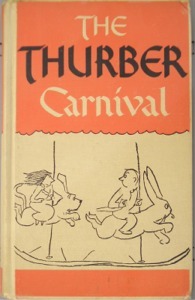 For those unfamiliar with Thurber, he wrote humorous stories, such "The Secret Life of Walter Mitty", "The Dog that Bit People" and "The Night the Bed Fell" and many more. He was also a famous cartoonist. 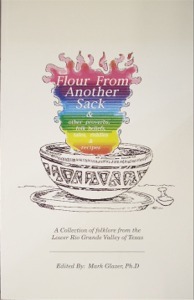 From The University of Texas - Pan American (from which I graduated), I bought a book by my former anthropology professor, Professor Mark Glazer, Ph.D.: Flour from Another Sack & Other Proberbs, Folk Beliefs, Tales, Riddles and Recipes: A Collection of Folklore from the Lower Rio Grande Valley of Texas. This is a long title for a very interesting book of folklore. What's interesting is that many of the stories "Really happened!" to a friend of a friend, etc. etc., but many stories have counterparts, particularly in the Encyclopedia of Fairies: Hobgoblins, Brownies, Bogies, & Other Supernatural Creatures (Pantheon Fairy Tale and Folklore Library) by Katherine Briggs. For those who don't know me, I have a strong background in folklore. I also bought a couple more Texas-themed books. 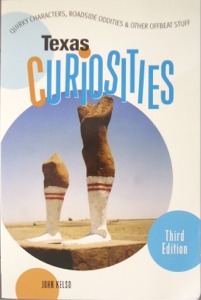 The first is Texas Curiosities: Quirky Characters, Roadside Oddities & Other Offbeat Stuff by John Kelso. 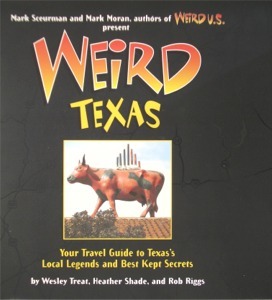 The second is Weird Texas: Your Travel Guide to Texas's Local Legends and Best Kept Secrets by Wesley Treat, Heather Shade and Rob Riggs. These two books will, I hope, provide some variety to the reading classes. During my summer vacation, I attempted valiantly to find some junior high school literature books. We have the Visions A books here in the NELP room, but I'm sad to say that they haven't been particularly popular, though we will undoubtedly still use them from time to time. Likely as not, I will be designing a standard curriculum of reading from a variety of sources, including fiction and nonfiction in a variety of styles. Hopefully this will give our reading classes not only some much needed variety, but also some very much needed stability in the curriculum ... something painfully lacking at the moment as we've been focusing almost exclusively on current events for our weekly assignments. Needless to say, I'll be busy during the coming week looking at a new formula for the weekly cycle.